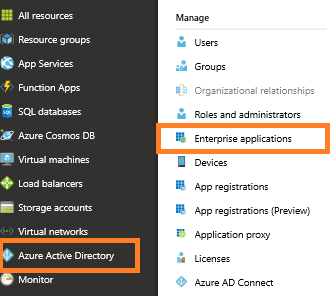 Go to Microsoft Azure manage portal, on the left menu, click “Azure Active Directory”, click on "Enterprise applications" and then click “New application” button. 4. Click Edit icon on "Basic SAML Configuration" and enter Identifier(https://*.alertops.com) and Reply URL(https://*.alertops.com/login.aspx) based on your AlertOps client URL. Then Download certificate "Certificate(Base64)" and save it. Which will be later used in AlertOps SSO settings. 5. Click on the Users and groups tab and click Add user and then select and assign users. 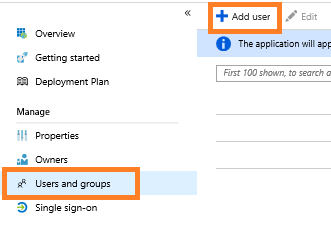 Go to Microsoft Azure manage portal, on the left menu, click “Azure Active Directory”, click on "App registrations" and then click “New application registration” button. Creating new application registration, enter Name , select "Native" as Application type and enter "https://alertops.com" for Redirect URI and click Create. 7. Go to AlertOps subscription settings page. Click on SSO tab. 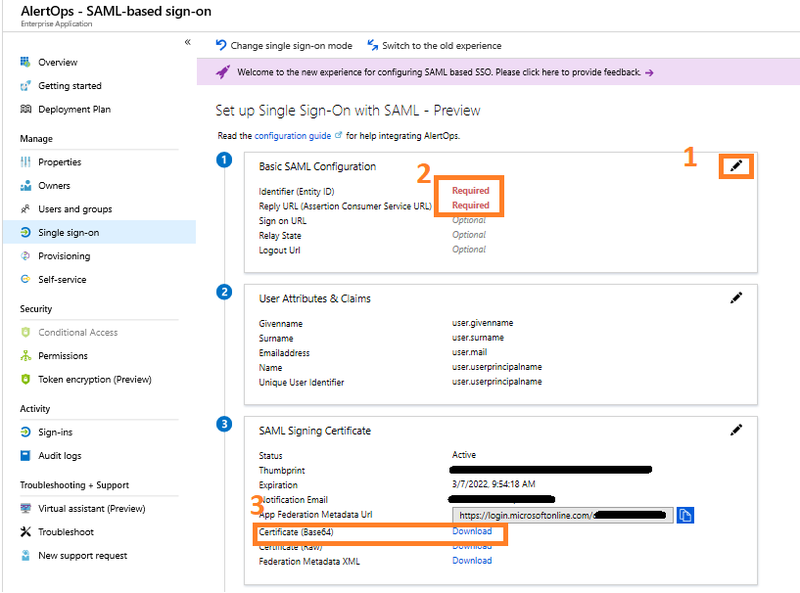 Check “Use Single Sign On (SSO)” checkbox. 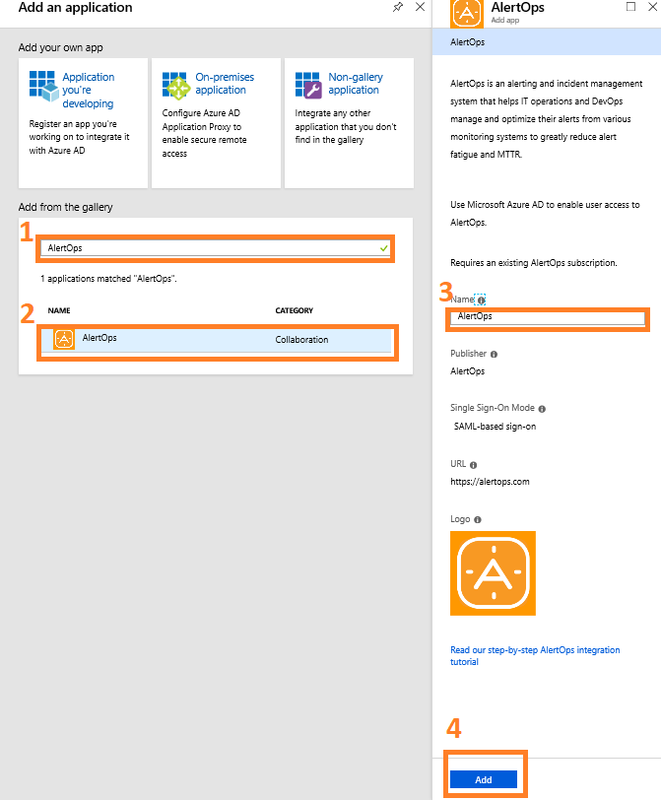 For SSO Provider, select "Azure Active Directory" . For Issue URL, use the Identifier you used in Step 4. For other SSO values, click on "Endpoints" of App registrations. 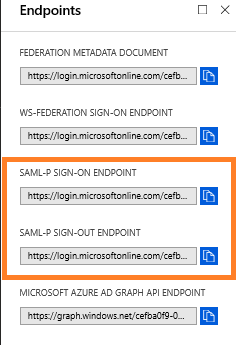 For SAML Signature Algorithm select "SHA256"
For Application Identifier, copy the value of Application ID . For Directory Identifier, copy the value of Directory ID.